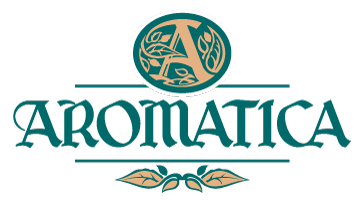 Aromatica is a recognizable Croatian brand with a long tradition in the production and sale of natural cosmetics. The products are galenic from laboratory manufactory produced in accordance with good manufacturing practice based on natural raw materials, without parabens, paraffins and synthetic additives. We care about your health by producing small series of quality skin care products. How to properly nourish your skin? Every skin requires special care. The skin care method is defined depending on the skin type itself and the needs. It is primarily necessary to define the skin type (sensitive, normal, mixed or dry) and then to define the effects you want to have on your skin. It is very important to use creams with the herbal base and without parabens, paraffins and synthetic dyse. In that way your skin gets total care. How long does the Aromatica product last? Because our products are natural, they have a shelf life usually 12-24 months. If the products are kept outside the direct sunlight at room or low temperatures, they will remain long fresh. Where are produced Aromatica products? Are you shipping Aromatica products international? Of course. We are shipping our products worldwide. What are essential oils and which oils can be used in aromatherapy? Essential oils cover a certain group of compounds from the plant and their concentration. The two main ways of obtaining essential oils are by distillation with water steam and cold press. The oils used in aromatherapy must be chemically and botanically defined. Today, small inhalers can be supplied with a hot water tank and anatomic place for nose and mouth that prevents excessive eye irritation. Even if you do not have such an inhaler, you need a one liter bowl, into which you put about 500 ml of boiling water. After that add one drop of oil and inhale for about two minutes. Then add another drop. For one inhalation it is enough three to four drops which means total five minutes. Apply three times a day. In natural cosmetics ingredients are 100% natural, herbal origin, and they have a better effect on the skin. Ingredients from products nourishes and penetrates deeper on your skin. Natural cosmetics doesn’t pollute the environment and they are not tested on animals.